I’ve been getting a few emails from readers asking what’s happening with THE DRAGON HOUSE, the final volume of the Wild Hunt Quartet. I’m happy to answer these emails individually, as and when they come in, but it occurred to me that it would save a lot of wear and tear on everyone’s typing fingers if I just did a post about it. So, without further ado, here we go. It hasn’t been published yet. I’m still writing it. I am pleased to report that it’s more done than not done, though (see So where are we at? below). My health hasn’t been great for a while now. For those that don’t know (*waves to new people*) I have multiple sclerosis, which I’ve been dealing with for over 20 years now. I’ve blogged about this before, but that was a year ago and I realise not everyone will have read that post. I haven’t always dealt with my illness in an ideal fashion. When it was still in its relapsing-remitting stages, I coped by largely ignoring it, and trying to bull my way through the limitations it imposed on me. That’s why I stayed in full-time employment longer than I should have. Why I resisted moving to a house without stairs for so long. 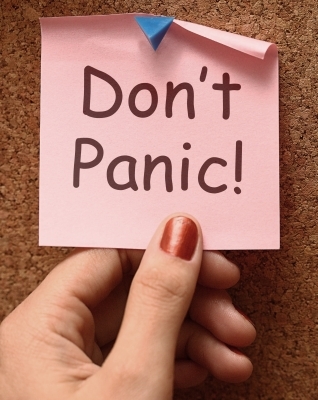 When we finally did move, in 2015, the process brought a load of new stressors all its own, which did not help my mental health. Having MS has so thoroughly altered the way I navigate the world. Physically, I can’t do a lot of things I used to enjoy, like travel, or needlecrafts, or tending my garden, but it’s also affected stuff I used to take for granted, simple things like fastening my clothes. Mentally, it affects my concentration and clarity of thought, though not so badly that I can’t see what’s happening to me. Even after 20 years, I get immensely frustrated with it. Frustration becomes rage, which becomes tears, becomes exhaustion, becomes depression and round and round we go. Lately I’ve been getting better at dealing with that cycle. Though far from perfect, I’m still here, still trying. I’m still making words, because I can’t not. It’s just not happening as quickly or as easily as any of us would like. Will the book ever be finished? Yes. Absolutely. I owe the story and the characters a fitting ending, something that feels right for them. I also owe it to all the readers who have come along for the ride. That said, I won’t turn out a piece of crap just to call it done. I won’t put my name to something I’m not proud of. That I can’t tell you. Yet. 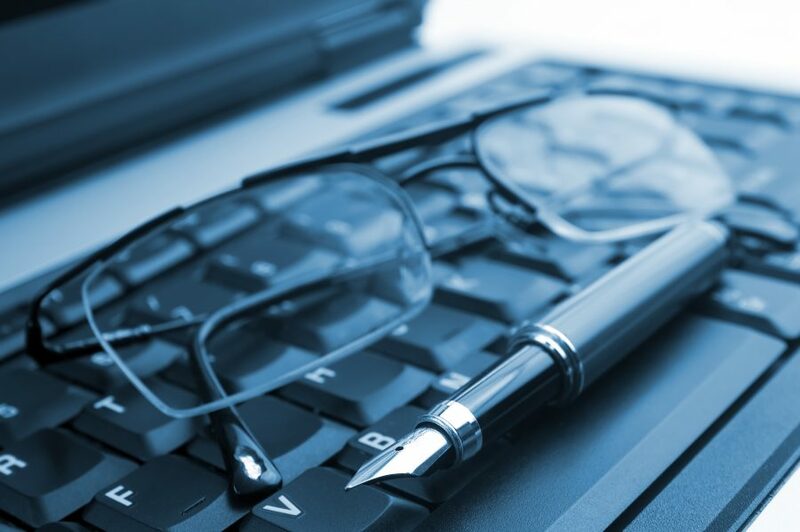 Rigid schedules don’t work with a fluctuating condition; that’s why I had to give up my 9-5 office job. Please trust that I’m working as hard as I can, but unfortunately, I can’t predict when I’ll be done. There’s no point in promising a date when I can’t guarantee to meet it, and to get a firm date means plumbing it into the schedules of literally dozens – if not hundreds – of other people in the publishing supply chain, and it’s not fair on them to over-promise and then under-deliver. But when I hit SEND on that script, y’all will be the first to know. So where are we at? The book is about two-thirds done (I think), but there’s the whole final arc to nail down. A series-ender is tricky – many individual arcs to close, lots of moving parts! Last time I made any kind of announcement about THE DRAGON HOUSE, I was at 120,000 words, or about two-thirds of the way through. I’d actually written 169k, but was revisiting the whole manuscript (again) after some tough love from my agent, because, well, it wasn’t in great shape. You see, I’ve never had a good relationship with daily word-count targets. It’s co-morbid with my dislike of chapter plans, beat-sheets and whatnot. Those things make me feel hemmed in, and if I fail to hit a target e.g. because I’m ill, it sets up a stress spiral of pushing more and falling further short. The quality of my writing always suffers. Learning that I do this was such a “Well, duh!” for me. I’m still working on recognising it in the moment, though, because it’s hard to see when you’re mired in it. I was raised to be a self-reliant sort, so I tend to just soldier on in the belief that I can wear any problem down with sheer persistence, when what I need to do is not work harder, but work smarter. So I’ve had to go backwards to go forwards. I’m at about 125k, but there’s a lot more changed than just adding another 5000 words. I think the script is leaner now, more together. There’s new scenes. I’ve made peace with the fact that the POV count (as well as the word count) is going to be higher than the other three books. THE DRAGON HOUSE will be a bit of a monster, but I can see the shape of the beast in the rough cut stone now, and it pleases me. I just have to set it free. Is Gair going to be OK? Will he end up with Tanith? Do we see Ailric/Ytha/Drwyn get their comeuppance? TELL ME. You want spoilers, now? No, I’m not telling. Yes, I am a big meaniepants. So what are we supposed to do while we wait, huh? If you haven’t already read them, there’s two sample chapters here under ‘Books’ in the top menu. If you have already read them . . . um. Sorry? Please read someone else’s books – there’s lots of great ones to choose from. I’ll still be here when you get back. And on that note, I want to apologise to everyone for taking so long with this book. It’s not what I wanted to happen. I hope I can repay everyone’s patience with a worthy finale to the series. I want THE DRAGON HOUSE to be the best that I can make it. And you will get to read it. 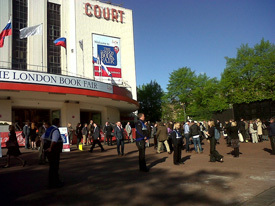 On Tuesday 12th April, I went down to London Book Fair. I’d been invited by Orion to meet up with those of my foreign publishers who were in town for the Fair, and they’d very generously thrown in a hotel for the night, so how could I possibly refuse? I’ve never been to the Book Fair, and I wanted to go and see what it was all about. Plus I quite like travelling on the train. EastCoast actually make a reasonable cup of tea, and the shortbread fingers aren’t half bad.